The study of rhetoric evolved from being focused solely on discourse, in Ancient Greece, to the inclusion of audiovisual elements in the 20th century. Today, a ubiquitously digital world opens a new field of research, which might be called “rhetoric of interaction”. The purpose of this work is to explore rhetorical possibilities of interactive features, that is, how different interactive design solutions may influence the apprehension of messages and help the building of arguments. The study is based on the analysis of three websites: “Central Cervejas”, a virtual tour through a Portuguese brewery; “Lifesaver”, a lesson of life-saving methods by the British Resuscitation Council; and “Sortie en Mer”, an advertisement for a safety gear company. The methodology of analysis concentrates on three well known aspects in traditional rhetoric studies: a) communicated function, b) engagement of users, and c) presence of the three rhetorical appeals (ethos, logos, and pathos). 2005-2009: Phd in Communications Science, Universidade Federal do Rio de Janeiro, Brazil. 2007-2008: PhD visiting student, Princeton University, USA. 980-1984: BA in Graphic Design, Pontifícia Universidade Católica do Rio de Janeiro, Brazil. DR. MARCOS MARTINS has joined, since 2010, the faculty of Escola Superior de Desenho Industrial (Rio de Janeiro, Brazil, where he is Head of the Visual Communications Department. His main research fields are Interaction and User Experience Design, Media Studies and Intersections between Art and Design. From 1984 to 1989 he has worked, as a curator and exhibit designer, in Cultural Institutions like Museu Nacional de Belas Artes, Paço Imperial and FUNARTE. He has been awarded a CAPES/ Fulbright Scholarship for a 4-month period (1987-1989) of research studies at the Boston Museum of Fine Arts, Boston, USA. In 1992 – sponsored by a CNPq scholarship – he achieved his master’s degree in Computer Art at the School of Visual Arts, New York, USA. In that same year, his 3D computer animation entitled “Falling Apart” was selected and exhibited at the SGGRAPH 1992 conference, Chicago, USA. During his stay in the USA he worked at IBM (T.J. Watson Research Center) doing 3D modeling for the animation “Humming Along”, also exhibited at SIGGRAPH ’92. From 1993 to 2009 he created many graphic and interaction design pieces with emphasis on the fields of interface design and book design for art exhibitions. More recently prof. Martins has published several articles on interactive design, media studies and photography and has co-edited the book “Dispositivo Fotografia e Contemporaneidade”. In 2014, he presented the paper “Prototyping in a Learning Environment” at the 16th International Conference on Human-Computer Interaction. At Microsoft Deign Expo 2014, Seattle, USA, he has received the Best Overall Award for his participation as an advisor for the interaction design project “Platform”. Barbara Emanuel is a designer from Rio de Janeiro, Brazil. She holds a Master of Arts in Integrated Design title from Hochschule Anhalt (Dessau, Germany), a bachelor in Design from Universidade do Estado do Rio de Janeiro (ESDI/UERJ) and a bachelor in Communications from Universidade Federal do Rio de Janeiro (Eco/UFRJ). Currently, she is a PhD student in ESDI/UERJ, researching the field of visual rhetoric and interaction. 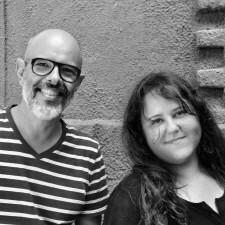 She is a professor of “Visual Communication in the Classroom” for public school teachers in the state of Rio de Janeiro at a lato sensu course (CEDERJ/UFRJ) and teaches visual communication at the Digital Graphic Design bachelor course at Instituto Infnet. She has been a partner at the design firm Bigodes for the past three years, after working for several companies such as design firms and publishing houses.